On a barn pick, I got a rather large box of antique wooden roof shingles. 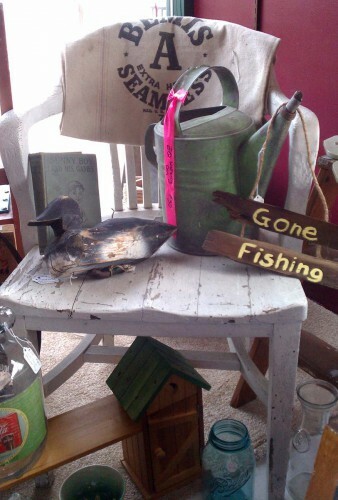 Since there are times one just has to put the piles of supplies to use, I began making a series of classic signs, such as “Gone Fishing”, “Welcome”, and the like. Of course, I had to make a few “Gone Antiquing” too. *wink* And I managed to get a number of them done just in time for the Fargo Street Fair too! 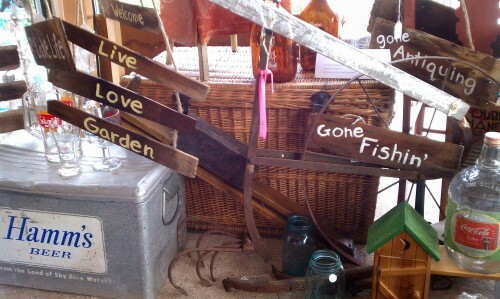 4 Responses to "Signs From Antique Wooden Shingles"